After a 2013 investigation into its Irish tax affairs, Apple continued to avoid paying billions of dollars in taxes by changing its structure, moving the holding firm for over $250 billion in cash reserves to the Channel Islands, this week's "Paradise Papers" leak has revealed. Documents found within the Paradise Papers indicate Apple relocated part of the company to Jersey to preserve its low tax rate, The Guardian reported on Monday. After the company was attacked for its financial strategy, and with the introduction of tax rule changes in Ireland in 2013, Apple was prompted to reevaluate its corporate structure and moved the tax residency of some subsidiaries to Jersey. Apple came under fire from the U.S. Senate in 2013, when a subcommittee called out the company's elaborate tax scheme. One method used to avoid paying normal taxes was Apple Operations International (AOI), based in Ireland, a country that at the time was offering an effective tax rate of less than 2 percent. Apple plowed billions into AOI and other offshore accounts and subsidiaries. The Senate noted that due to Apple declaring some of the subsidiaries as not tax resident in any nation, those firms were able to generate a net income of billions of dollars, yet pay negligible amounts in international taxes —such as Apple Sales International's (ASI) $10 million in taxes on $22 billion in revenue. The subcommittee highlighted major issues with Apple's tax practices that would allow it to reduce its tax outlay, including using cost-sharing agreements to transfer intellectual property assets offshore, using tax law loopholes to "disregard" offshore subsidiaries like AOI, ASI, and Apple Operations Europe (AOE), and negotiating an extremely low tax rate with the government of Ireland. The European Commission held its own investigation into Apple's affairs, declaring in 2016 that Irish tax rates on the company's profits were illegally low, as little as 0.005 percent in 2014 compared to the usual 12.5 percent Irish corporation tax. The Commission ordered the collection of 13 billion euros ($15 billion) in back taxes. Apple and Ireland are appealing the ruling, and the Commission recently declared it was taking Ireland to court for failing to recover the money by the due date. In October 2013, Ireland was pressured into new tax proposals that would directly affect companies incorporated in Ireland, including Apple's subsidiaries. Under the rules, such firms would be only able to avoid owing any corporation tax if they could show they were "managed and controlled in another jurisdiction" where they would be liable for taxation. Apple was effectively given the choice of either acknowledging the Irish firms were run from the U.S., and in turn paying those taxes on its revenue, or to shift the jurisdiction of the subsidiaries to a location with a more favorable corporate tax level. According to reports, the Paradise Papers show Apple's U.S. lawyers had contacted offshore finance law firm Appleby to determine the benefits of various different offshore jurisdictions, including the British Virgin Islands, Cayman, Guernsey, Jersey, and the Isle of Man. The early 2014 research also involved Apple sending questionnaires to regional Appleby offices to request the information. In March 2014, Appleby was requested to "provide assistance with and coordination of a multi-jurisdictional project" by Apple's lawyers. An announcement by then-Irish finance minister Michael Noonan in October 2014 forced Apple to accelerate its plans, revealing that rules would be tightened further to prevent companies incorporated in Ireland from being managed and run in tax havens, an attempt to cut out the "Double Irish" loophole. Notably, the government would still allow companies incorporated before the end of 2014 that were run from tax havens to continue operating under existing rules until the end of 2020, effectively providing a six-year grace period. Within two months and before the deadline, Apple shifted the tax residency of AOI and ASI to Jersey, one of the Channel Islands in Europe. While Jersey is classed as being a dependent of the U.K. Crown, it is able to make its own tax laws, and currently offers a corporate tax rate for foreign companies of 0 percent, making it an ideal tax haven. Of the two, AOI is believed to be the most valuable, thought to control $252 billion in overseas reserves, with both firms reportedly managed by Appleby's local office in Jersey for all of 2015 until early 2016. It is also believed that ASI is now a dormant company, with analysts suggesting AOE likely acquired the rights owned by the firm. While this would have brought IP under the ownership of the taxable Irish-based AOE, the sale would not have generated taxes for the Jersey-based ASI, and would also enable AOE to offset the cost against future profits, effectively reducing its own Irish taxes. "The changes we made did not reduce our tax payments in any country," Apple claimed in a statement. "In fact, our payments to Ireland increased significantly... [in 2014/15/16] we've paid $1.5 billion in tax there —7 percent of all corporate income taxes paid in that country." Apple refused to say to The Guardian how much it made through its Irish firms, hindering assessments of the size of the payments in comparison to its revenue. Apple also refused to confirm where the economic rights owned by ASI had been transferred. "Under the current international tax system, profits are taxed based on where the value is created," Apple continued. "The taxes Apple pays to countries around the world are based on that principle. The vast majority of the value in our products is indisputably created in the United States, where we do our design, development, engineering work, and much more, so the majority of our taxes are owed to the U.S."
"When Ireland changed its tax laws in 2015, we complied by changing the residency of our Irish subsidiaries and we informed Ireland, the European Commission, and the United States. The changes we made did not reduce our tax payments in any country." Apple ended its statement by insisting "we follow the laws, and if the system changes we will comply. We strongly support efforts from the global community toward comprehensive international tax reform and a far simpler system, and we will continue to advocate for that." 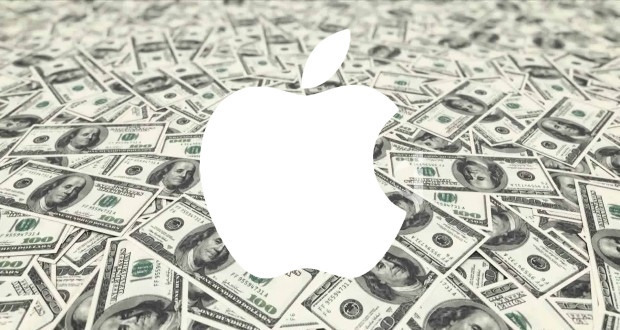 Massive overseas cash reserves have been an issue for Apple for a long time, as the company has refused to pay the 35 percent it would owe if it brought the money back to the U.S. Current proposals to overhaul the U.S. tax code could potentially reduce payments to 12 percent. Apple's tax affairs are the latest in a number of financial scandals to have erupted after the Paradise Papers —a large collection of documents acquired from Appleby —were leaked to a German newspaper and shared to other media outlets in the International Consortium of Investigative Journalists. Other discoveries in the leak include reports that part of the British Queen's private estate is invested offshore, andthat an official from President Donald Trump's administration held a stake in a firm connected to Russian President Vladimir Putin's son-in-law.